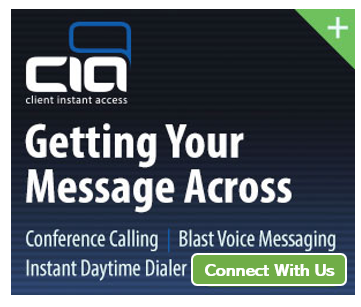 Affordable Conference Calls is a wholly-owned subsidiary of Client Instant Access, LLC (CIA). With over 20 years experience as a leading conference call provider, we understand what you want and need from a conferencing provider. We have created a conferencing platform that is fast, easy to use, flexible, inexpensive and available 24 hours per day. All our conference calls are conducted on secure lines. The reliability factor is a huge reason for choosing us as your premium conference calling provider. That is also why many fortune 500 Companies trust Affordable Conference Calls to host event calls with groups as large as 1,000’s of callers. Joe is co-founder and Chief Executive Officer of CIA. He oversees the commercial, operations and IT aspects of CIA. Joe is responsible for building the conference calling and Blast Voice Mail platforms that Client Instant Access utilizes today. Before he co-founded CIA, Joe was a senior director for another conference call provider. Joe has an MBA in Portfolio and Investment Management from Pace University.